Living Wage Week, Sun 5 Nov- Sat 11 Nov, is the annual celebration of the Living Wage movement in the UK. Our movement is made up of Employers, Experts, Organisations and People who all believe that a hard day’s work deserves a fair day’s pay. On the Monday of Living Wage Week – Monday 6th November – the new Living Wage Rates are announced at a ceremony. These rates apply to all Living Wage accredited employers. 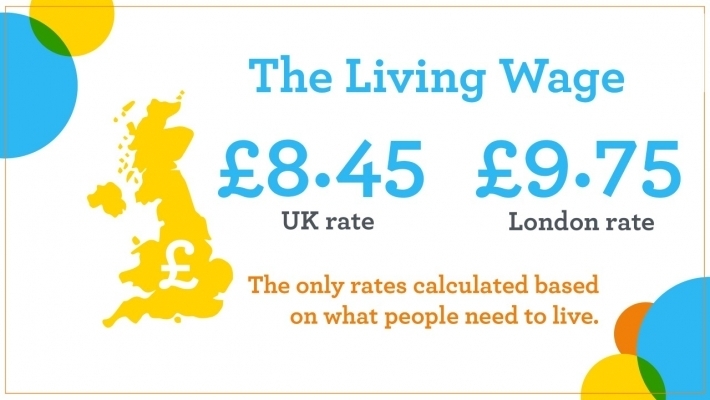 The real Living Wage is annually calculated to reflect the cost of living in the UK and there is a separate, higher, rate in London. It is voluntarily paid by thousands of employers in the UK and applies to all workers over the age of 18 included contracted and subcontracted staff.